Today I am haring an Issie top I made over the weekend with the new addition of the Rose collar! I really love this design by Mijke from Riddersenrozen. It makes the top look really elegant! When Mijke first showed me the design about ten days ago, I thought it was too close to my planned release date to include it in the pattern, and I hoped to release in a couple of weeks as a free add on. But when I sewed one up, I knew it had to make it to the pattern!! Isn't it pretty? It's also really easy to make and really only adds another five minutes to the contruction of the top. We named the collar after Mijke's lovely daughter, Rose. We are finally enjoying some really warm weather here after months of rain! We enjoyed a lovely day out on the weekend at a local school fete. I brought my camera along and Isabella found a spot for us to take some photos. She is such a good girl letting Mummy take photos of her all the time! 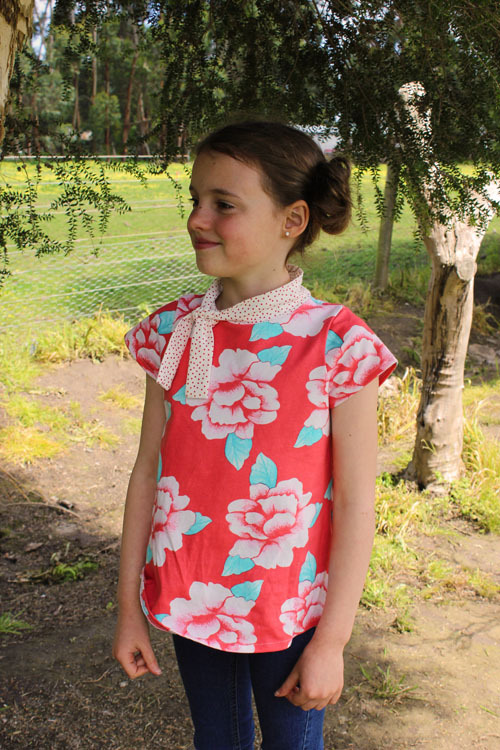 I realised after I made this top that the fabric was actually giant Roses - quite apt for an Issie top with Rose collar! 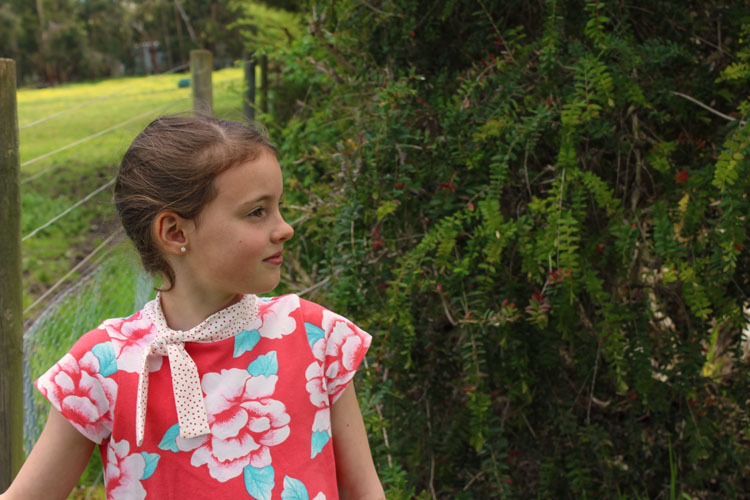 Isabella has a little fascination with horses at the moment after seeing a film called Flicker. She wrote a poem about them and I often hear her singing her poem too! 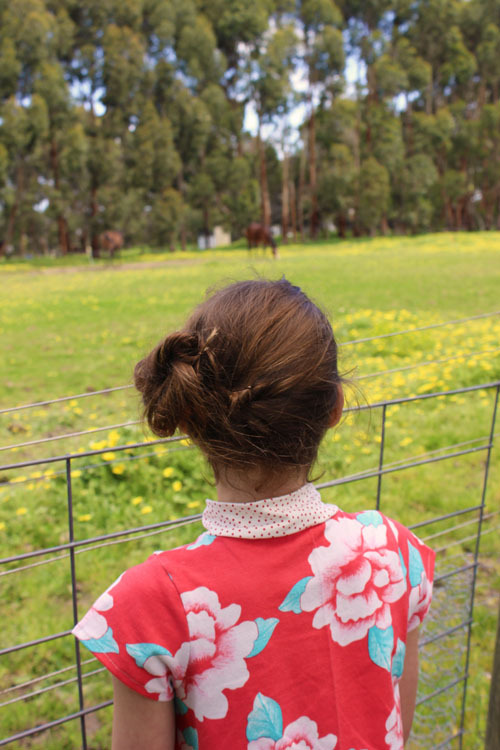 So she wanted a photo of her looking at the horses in the nearby paddock! 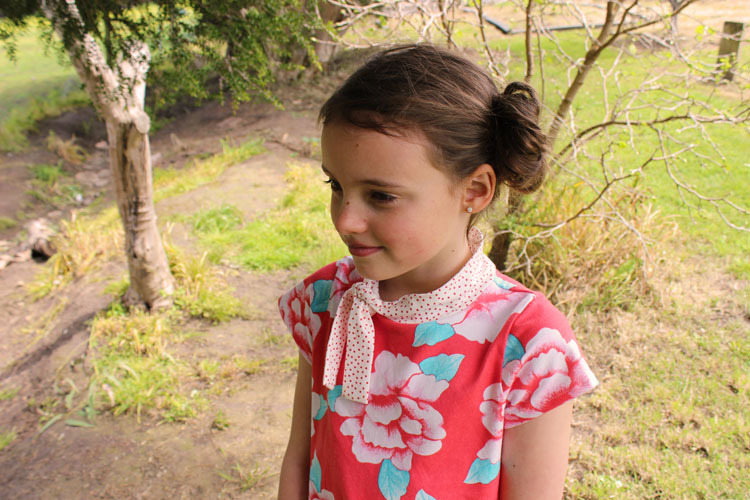 This is such a sweet top with the collar and the roses! The colors suit Isabella really well. 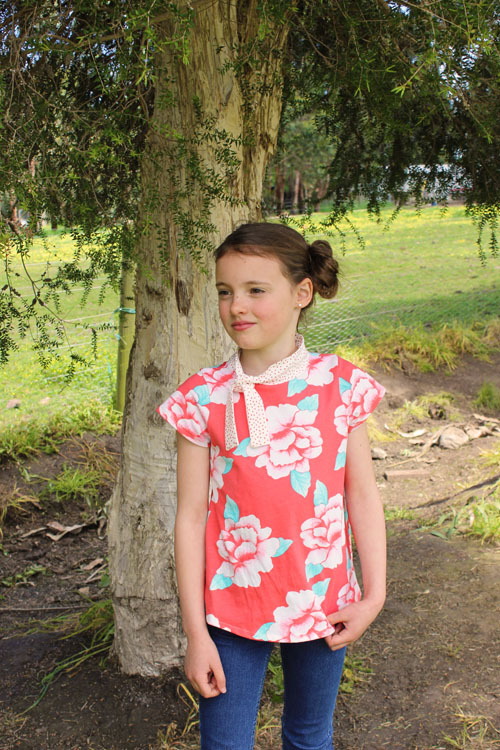 I love the versatility of the pattern: so many styles to choose from!